IPEC-Americas found themselves with several Drupal web properties and no Drupal support. They asked SoH to start by stabilizing their main website so they could begin work on the development of several new initiatives. Following a technical evaluation, we found that the website was poorly implemented, prone to crashes and hacking, and did not provide a good experience for the IPEC members. Staff were not able to make the necessary changes to the static content. Additionally, the membership data was housed in multiple files across the staff, without once clear authoritative source for the information. SoH started by reconfiguring the website and hosting environments, bring them onto our own hosting server. Once the site was stable, we were able to address a long-term strategy. We updated the site from Drupal 6 to Drupal 7. This project is a great example of how we are able to take a Drupal site with no documentation, deconstruct the business rules, and move forward seamlessly to provide service and support. We have redesigned the member management system using CiviCRM, and rearchitected the workflow to drive all membership information from a single database. All member content, reporting, event signup, and document management will run from the CiviCRM database. 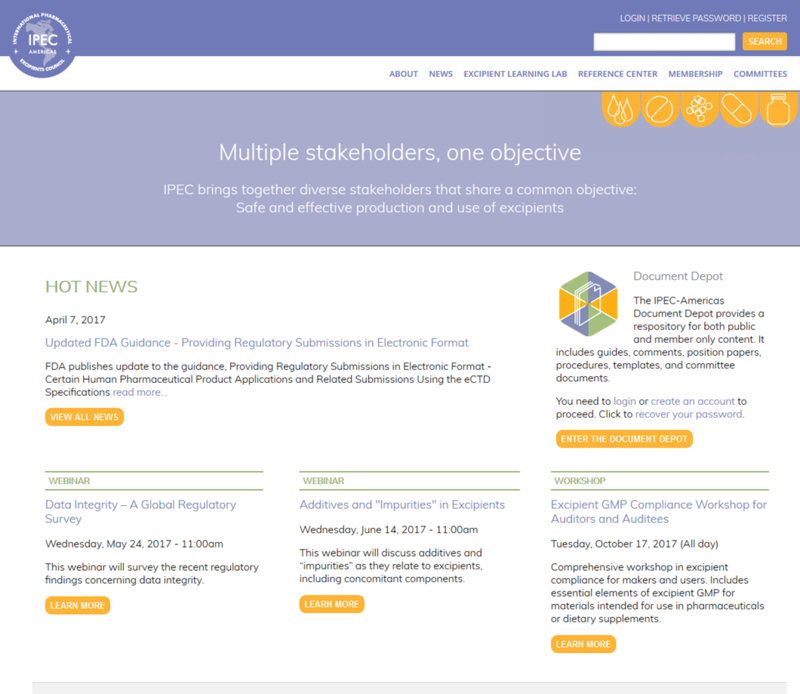 We conducted an architecture workshop with IPEC Americas, resulting in a reorganization of the content and page layouts, rebuilding the theme on a mobile-friendly platform, and implementing a portal to manage documents available to staff, committees, and the public. With a stable and secure environment, IPEC-Americas can now focus on the job of serving their membership and adding value through the website.